Virginia Law Office is located in a rusticated artisans cottage with a coursed square limestone façade and is a protected structure, dating from 1830, following the development of the Hunting Lodge Demesne, now Virginia Park Lodge, by the then Lord Headfort and Earl Of Bective. The office was one of the dwellings used by artisans working on the Demesne and has now been sympathetically restored for use as a Solicitors office under the direction of David McCormack Architect, B.Arch, MRIAI. John graduated from University College Dublin with an Honours Bachelor of Civil Law Degree and Master of Law Degree in 1990. His Master’s Thesis was on Civil Law and Mandatory Rules and Choice of Law in Irish Private International Law. John was admitted to the Roll of Solicitors in 1993. John served his apprenticeship in George V. Maloney solicitors, 6 Farnham Street, Co. Cavan. John opened the firm of John P. Prior & Co. in Oldcastle, Co. Meath in January 1994. John is vastly experienced in all areas of law with a particular emphasis on litigation, in particular personal injury litigation, which covers all types of accidents. 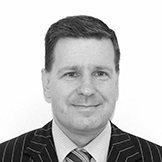 John also holds a Personal Insolvency Practitioner Certificate. Barry graduated from National University of Ireland Galway with an Honours Bachelor of Commerce Degree in 2003 and Honours Bachelor of Law Degree in 2005. 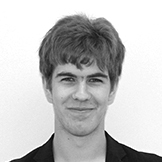 Thereafter, Barry studied at the Law Society and was admitted to the Roll of Solicitors in January 2011. 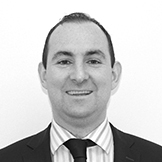 Before joining the firm of John P. Prior & Co. solicitors in July 2013, Barry worked in a firm of solicitors in Bailieborough, Co. Cavan for five years gaining extensive experience in all areas of general practice. Barry advises in litigation, conveyancing, probate and criminal matters.